From Cascada Isle to Summertime Isles, Rock Creek to Biltmore Grove, Monterra to Embassy Lakes, homeowners and business owners in Cooper City call upon Quality Air Conditioning Company for the most reliable air conditioner maintenance, repair, and replacement. When it’s hot as blazes and the air conditioner at your house on Morningstar Lane decides to go on the fritz, Quality Air Conditioning Company is there for you. With same-day and twenty-four hour emergency air conditioner service, our skilled technicians will perform any repair you need to cool down your Cooper City casa. Quality Air Conditioning Company has a team of factory-trained technicians at the ready, and a modern dispatch system to ensure that help reaches you as soon as possible. Each of our air conditioner service trucks is equipped with nearly a thousand replacement parts, so we can quickly and capably address any issues with your air conditioner. We’ll have the air conditioner in your Mainsail Drive condo running full speed ahead in no time, combating the oppressive humidity of a Cooper City heat wave. Whether you’re just building your Cooper City empire or you’re the owner of a well-established business franchise, Quality Air Conditioning Company supports you with the air conditioner maintenance and repair services you need to keep your business running smoothly. If the air conditioner fails at your chic Cooper City grilled cheese bistro, more than your gourmet cheese could be having a meltdown. 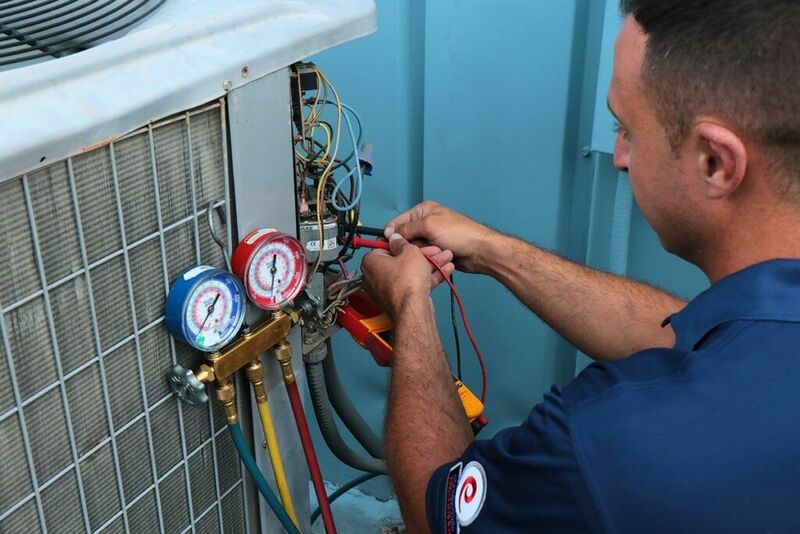 A technician from Quality Air Conditioning Company can be on site quickly to make a rapid air conditioner repair, so your staff and customers won’t overheat. Quality Air Conditioning Company can tailor a service or maintenance plan to cover all of your business facilities. We’ll sit down with you and discuss the most practical options for keeping your air conditioner systems up-and-running at a price that works for your company’s budget. Just twenty minutes away from the beaches of Fort Lauderdale and a half-hour’s drive from the sprawling metropolis of Miami, Cooper City is a family-focused Broward County town. Programs like Pioneer Enrichment for students, adult arts-and-crafts classes, Paws at the Park socials, municipal fitness activities, Cooper City Challengers club for special-needs young adults, and senior transportation services all show how the town founded by Morris Cooper in 1959 is thriving in its seventh decade. With a top-rated school system and plenty of sports activities and family fun, Cooper City is the kind of town where neighbors look after one another. As Cooper City’s close neighbor to the north, Quality Air Conditioning Company is happy to serve the families of Cooper City with air conditioner repair, maintenance, and replacement. To take care of all your air conditioner needs, whether in your family home or your place of business, call Quality Air Conditioning Company at 954-971-1000 or 954-830-7828, or toll-free at 800-649-5415. Our staff is ready to serve you!